Wanna be hip and on-trend next year? Here's what a lot of you will be drinking - and how - in 2015!! Expect more fruity wine infusions (like the fresita sparkling strawberry-infused wine), sparkling zinfandels (not massively exciting) and the 125ml measure becoming increasingly acceptable. We're going to see more experimentation in labelling with wine, built on the success of spirit and beer labels. 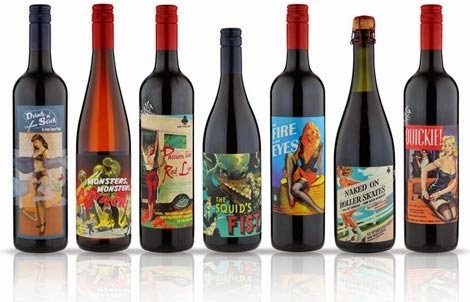 Wine has always been traditional in its labelling, but with companies such as Some Young Punks (you can buy their amazing wines by clicking the advert to your right>>>) demonstrating that it's possible to have a great wine in a brilliant looking bottle, other brands are looking to break the norms even more. 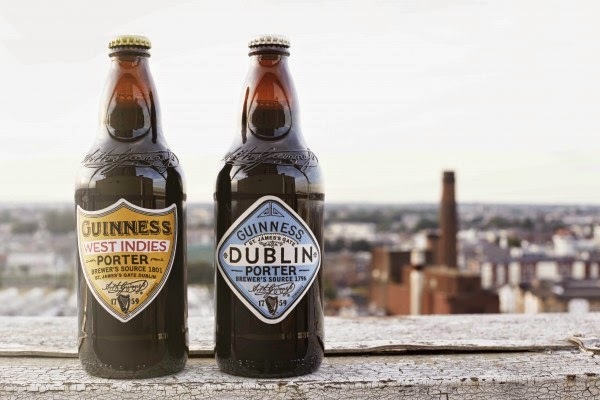 The craft movement will continue to grow in 2015, with more big brewing conglomerates muscling in on the act (did anyone see Guinness brought out two 'craft' porters - a Dublin Porter and the West Indies Porter - a couple of weeks ago?) as they finally accept that craft is here to stay and is a long-term threat to everyday brands. We'll see lots more canned beer in pubs and bars, and a move on from the incredibly popular IPA. Expect to see more Belgian Farmhouse-style beers like Saisons and Sours, and also American Amber style beers with fruity, malty aromas. Botanicals are also huge for 2015, so expect more beers infusing the likes of juniper into the mash, just like Meantime have, partnered with Chase Distilleries to produce the UK's first (but not last) Botanical Beer. Well, it looks like 2014 marked the end of the big rum revival, however, the biggest trend of 2015 will be in that of the spirits category. As craft and small-batch distillers make a name for themselves, more and more producers come out the woodwork with fancy bottles, infusions and spirits that defy categorisation. Lots of retailers are getting on board too - Waitrose has always had a great spirits range, but Majestic are about to launch a MASSIVE new range of craft spirits. The popularity of gin is fever-pitch at the moment, and as such we're going to see much more mixing with gin, and also, different garnishes. Expect to see lots more botanicals infused at the point of serve, with things like juniper, berries, cardamom, cinnamon, tea etc. I've got a great blog coming up in the next couple of weeks on this. Stay tuned! 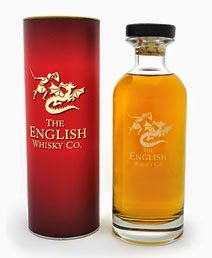 English whiskey is beginning to make a name for itself, and certain vintages will come-of-age in 2015. Some of them are going to be good enough to rival the best of the Scottish single malts. Grab yourself a bottle on the Masters Of Malt website. Glassware continues to evolve and define drinks categories, and a good glass adds to the experience of a drink. 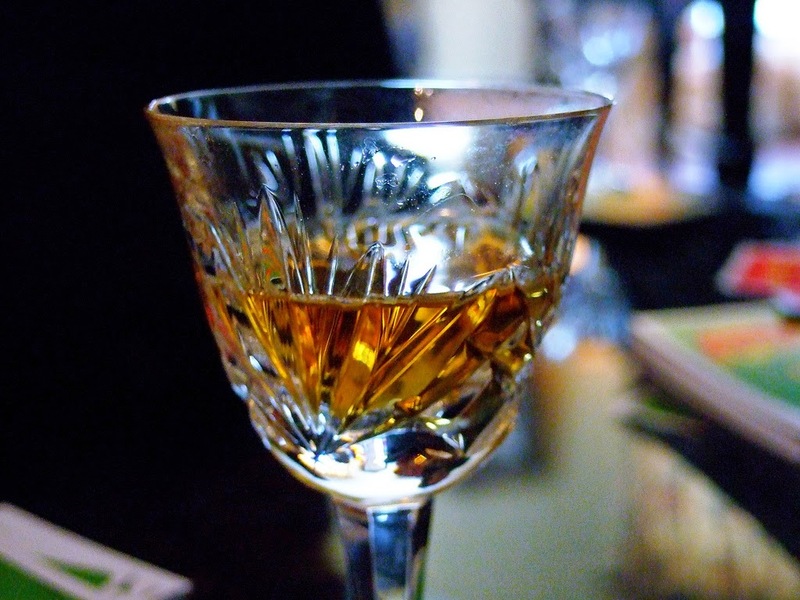 Craft spirits are still pushing forward, and the typical hi-ball glass just doesn't do them justice. American Prohibition continues to dominate trends in beer, spirits and glassware, and next year we'll be seeing lots more balloon glasses, allowing you to get really involved with the aromas of your drink. Check out these ones from Tanqueray. We'll also be seeing lots more cut crystal glasses (like THESE from John Lewis); perfect for serving sophisticated ready mixed old-fashioned cocktails from the likes of The Handmade Cocktail Company from Tunbridge Wells (their 2014 Negroni is incredible).